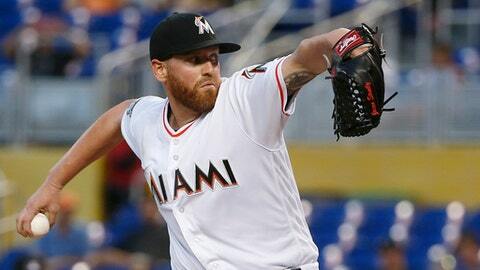 MIAMI (AP) Shelby Miller did not get the results he wanted, but just being back on the mound for the first time in over a year was a positive for him. ”It’s unfortunate it didn’t go the way he wanted as far as winning the game and going deep in the game, things he’s conditioned for, but just getting back on the mound and doing what he did today was really nice for all of us to see,” Diamondbacks manager Torey Lovullo said. Arizona’s Paul Goldschmidt singled in the third inning to extend his road hitting streak to 13 games, which includes seven home runs and 17 RBIs during that span.